Thank you for visiting the Ajax Training Kit shop at Soccer Box. Here you will find a selection of the official Ajax training kit manufactured by Adidas. Adidas has been producing the team’s football and training kits since 2000. As a keen fan you can shop for the home and away jerseys as well as the official training kit collection. The Ajax football team has a fantastic selection of training kit that includes a tracksuit, sweat top and shorts or why not consider an Ajax polo shirt that is perfect for showing your team allegiance while maintaining a smart casual look. Ajax is the most popular team in the Dutch Eredivisie football league, get your shirts and training kit and start showing pride in your team today. The Official Ajax Training Kits are Available to Order While Supplies Last! The Ajax training kit features a new design and color scheme each season. The Ajax home kit is always red and white, however, the away kits are more changeable. The color and design of the current season football training kit is usually based around the design of the latest away football kit. Adidas is the manufacturer of the Ajax football kits. Adidas is a German sportswear manufacturer and the design of the Ajax training kits show their skill and flair for designing fantastic sports kits. The Ajax training kit range looks fantastic. It is perfect for wearing alongside the home or away shirt to show your support or match day. The kit also looks stylish enough to wear every day as comfortable leisure wear. The Adidas Ajax training kits look great but they are also engineered as professional quality sportswear. Your favorite Ajax football players will wear their training kits to train hard almost every day between games. You can wear this kit for football training, at the gym or for playing any sport. Adidas has included its trademark ClimaCool fabric technology in the design of the Ajax football shirts and training kit. ClimaCool is a lightweight polyester construction that draws moisture away from the skin and increases airflow. Increased ventilation and sweat removal helps the body’s natural cooling processes, keeping the wearer feeling cool and comfortable for longer, while exerting themselves on the football field. As well as ClimaCool, Formotion technology enhances the comfort and functionality of the Ajax training kits. Formotion allows an increased range of movement and produces a sculpted fit for increase flexibility and comfort when playing sports. Wearing the Ajax football training kit is a fantastic way of identifying yourself as a fan. The training kits can be worn alongside the football jerseys or as standalone apparel. Why not consider shopping for Ajax accessories and merchandise that will coordinate with the official jerseys and training kits perfectly. 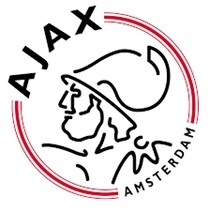 At Soccer Box we have a selection of Ajax accessories that are great for any fan. Why not consider shopping for team merchandise as a gift for any avid Ajax supporter! The Ajax training kits are selling fast. Order your now from Soccer Box to avoid disappointment!